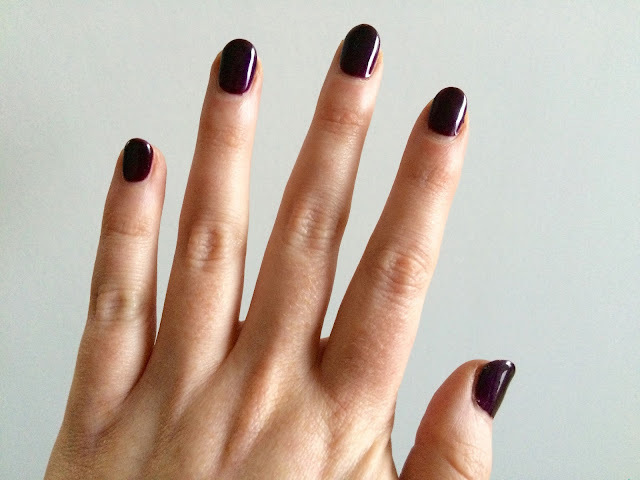 Plum has to be one of my favourite shades for beauty this autumn/winter. I picked up the Maybeline lipstick in the buy one get one half price at Boots earlier this month having popped in to buy another shade. 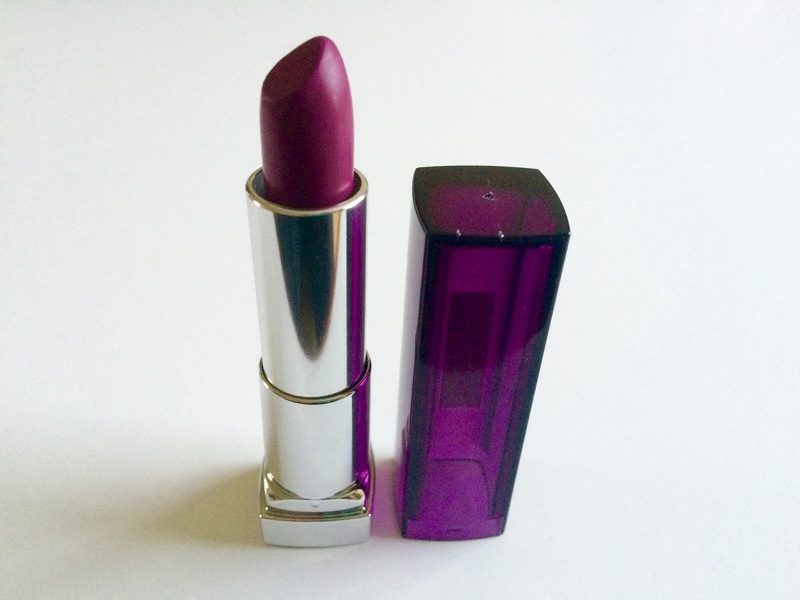 It's quite different to any lipsticks I've owned before (I usually stick to reds or nudes) but it's really wearable and I'm sure I'll get a lot of wear out of it over the Christmas season. In keeping with the plum theme I decided to go for Plum Paisley when getting my nails done recently. I'm terrible for being indecisive (there's too many nice colours!) and often end up sticking to red nails at this time of year but I'm really glad I opted for this shade and have received quite a few compliments on it, I might get it again over New Year. It's safe to say I'm something of a Christmas coffee addict. 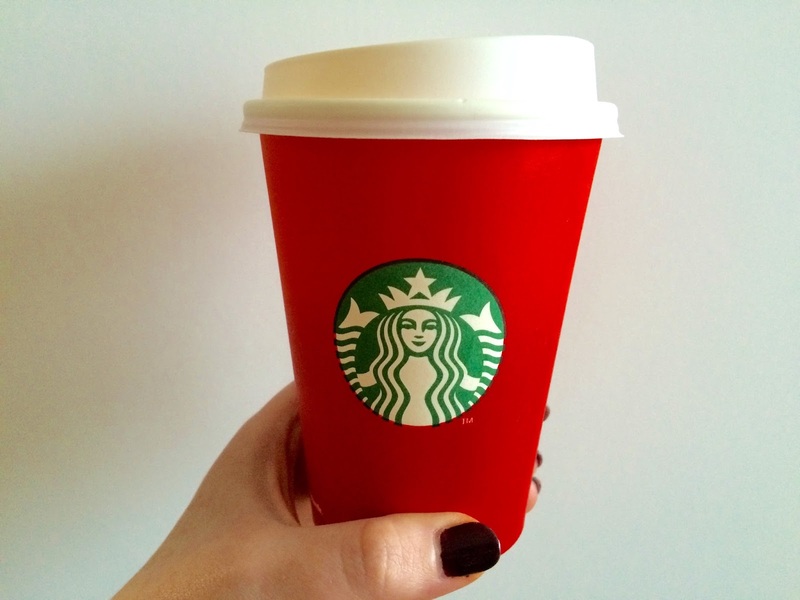 I eagerly await the red cups return. I've already had a couple of my beloved Gingerbread Latte's from Starbucks and I'm happy the Black Forrest Hot Chocolate (If you haven't tried this yet you need to, it tastes so good!) is back at Costa along with the White Hot Chocolate which is another of my favourites. I like to try and make sure I get my fill before they go back to the normal menu. A vanilla latte in January always feels so boring in comparison! It feels like we've been waiting forever for Adele to return but now she's back and I couldn't be happier. She's gripped the nation with "Hello" (Lionel who?!) and launched her highly anticipated third album '25' with an hour long special on BBC1 last week. It's still available to watch on iPlayer (did you see the bit with her entering the competition to find the best Adele impersonator, she was so funny and it was such a sweet moment when the other contenders realised who she was) I'm hoping to receive her album for Christmas and it'll no doubt be on repeat. I usually find the jewellery section in Primark a bit hit and miss but they seem to have upped their game recently. I picked up these 2 necklaces the other day and their packaging informs me they're part of the new SS16 collection. I've wanted a beaded choker style necklace for ages and with Christmas party season coming up I think it must have been fate that I spotted this one. 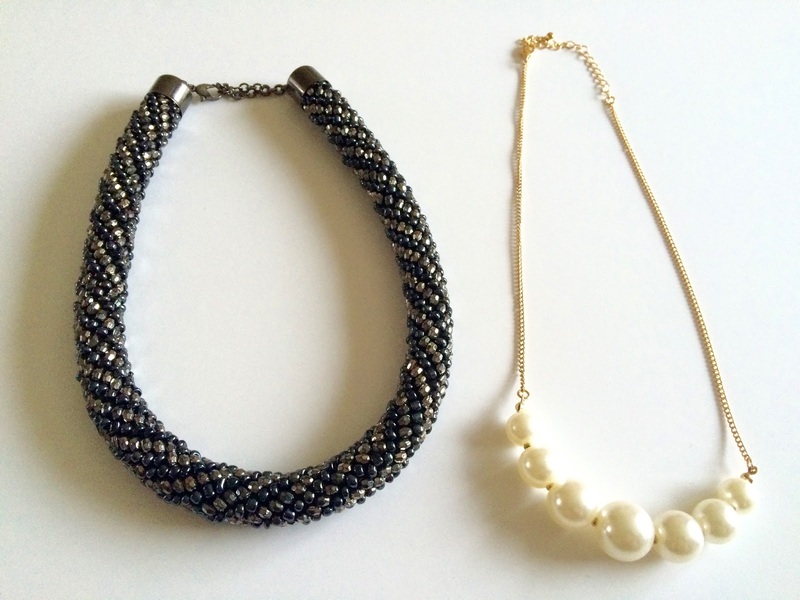 The weight of this style of necklace has always put me off in the past but this one is quite light so easy to wear all day or night and it was only £4.00. I really liked the pearl necklace too. I picked this up for £1.50 and thought it'd be great for everyday wear and to thrown on over a jumper. Chris Moyles is truly my morning saviour. I used to love listening to the breakfast show back in the day with Chris and the team on Radio 1. It'd make getting out of bed that bit easier and keep me smiling on the journey to work. I was so happy when it was announced Chris (along with Dom and Pippa and some new additions to the team) were to take over the breakfast show on the newly launched Radio X. My only wish is that it was streamed on FM across the UK (or maybe that one day I could figure out how to connect my phone via bluetooth in my car.. it's been over 2 years now!) My prayers were answered when I discovered the podcast. It means I can catch up with any bits of the show I've missed that week. I love seeing it appear in my subscriptions each Friday. Fingers crossed Dominic the donkey returns this year too! Click here to catch up on the show.